This is the highpoint of a major plateau on the south side of Western Brook Pond. 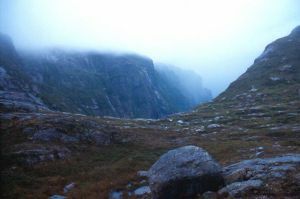 Access is by boat to the head of Western Brook Pond. Hike east to the head of the valley and then curl west to reach the summit.